A comprehensive handbook with communication tools for children and young people, parents and carers and healthcare professionals to use to facilitate communication with those who have speech and language difficulties. 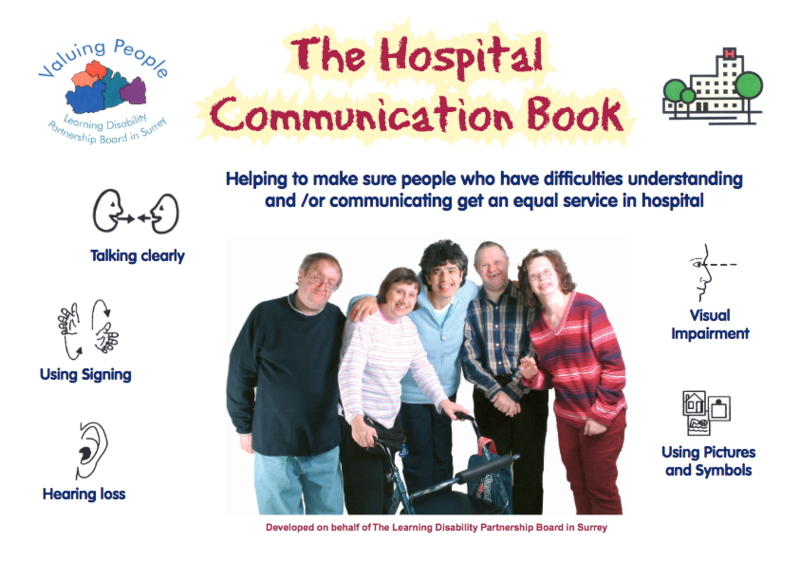 This handbook includes hints and tips and information pages as well as communication symbols, pictures and a photo toolkit. Developed on behalf of The Learning Disability Partnership Board in Surrey.